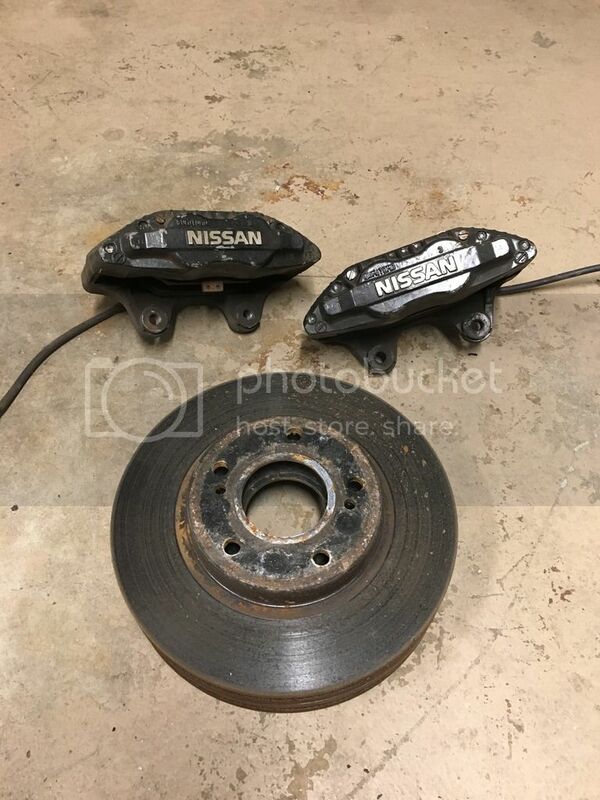 Description: 30mm Z32 front calipers, rotors, and conversion lines for a S14. All items were removed in good working condition. Calipers have been previously rebuilt before installing on the car, therefore there are no rips, tears, or leaks from the seals. Price: SOLD OBO shipped anywhere in the contiguous United States. For any questions or concerns please PM me or email me directly at [email protected], thank you. Last edited by MikeySand; 02-20-2017 at 08:37 AM..